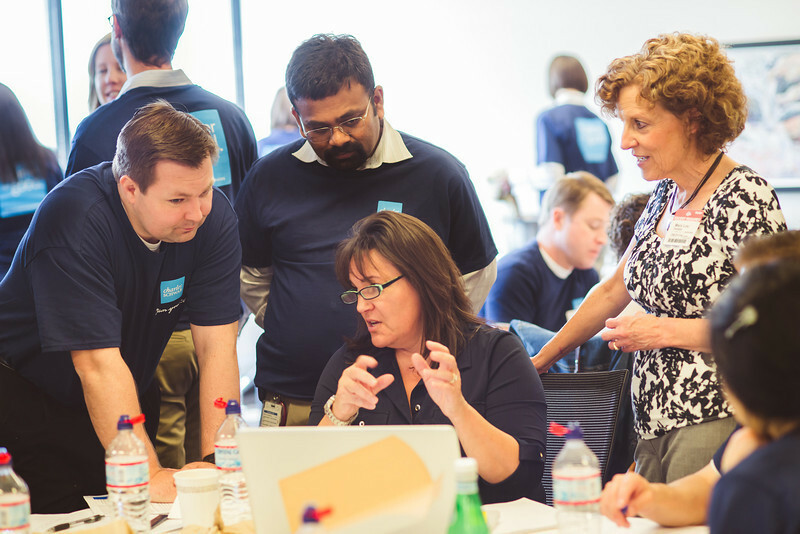 "Throughout the year, Schwab employees volunteer their sweat equity and intellectual capital to help nonprofit organizations build financial capability for the people they serve"
SAN FRANCISCO--(BUSINESS WIRE)--Thousands of Schwab employees and executives today will roll up their sleeves to help local charities in more than 150 cities across the United States as part of The Charles Schwab Corporation’s 12th annual Schwab Volunteer event. This year’s event is expected to have a record number of participants, with more than 4,600 Schwab employee volunteers, benefiting well over 200 charities coast to coast. Approximately 200 Schwab branch offices around the country will participate in the week-long event this year. A wide variety of human services and economic development organizations, including Habitat for Humanity, Goodwill, the Salvation Army, Dress for Success, Meals on Wheels, Society of St. Vincent de Paul and Project Night Night. In addition, Charles Schwab Foundation will provide each participating nonprofit organization an average grant of $500 as it has done during Volunteer Week in previous years. “Schwab volunteers have long contributed to Habitat for Humanity. Our Denver ReStores support Habitat for Humanity’s Homeownership Program through the sale of donated building materials and home furnishings. Schwab volunteers always bring a joy, energy and enthusiasm that make them a pleasure to work with, and they will be working hard to make the dream of home ownership a reality for low-income Denver-area families,” said Alice Goble, manager of Habitat ReStore Volunteer Programs. Employee volunteer photos will be posted throughout the week and can be viewed and downloaded here. To see additional ways Schwab employees donate their time and talents during Schwab Volunteer Week and throughout the year, watch this video. Charles Schwab Foundation is an independent nonprofit public benefit corporation, funded by The Charles Schwab Corporation and classified by the IRS as a charity under section 501(c)(3) of the Internal Revenue Code. The Foundation is neither a part of Charles Schwab & Co., Inc. (member SIPC) nor its parent company, The Charles Schwab Corporation. Its mission is to educate, volunteer and advocate on behalf of those in need so that everyone has the opportunity to achieve financial well-being. More information is available at www.aboutschwab.com/community_services.